You are currently browsing the tag archive for the ‘Funny products’ tag. I’ve been driving by this establishment for years, and have seen this particular oddity in signage many times. Finally this week I learned how to e-mail myself pictures from my camera phone, so you lucky readers get a treat. Enjoy. I wonder if they have a drive-thru window. There’s no mention of the dry cleaner’s that shares the building, but why would you need to? Really, I think it’s clear enough from the sign. 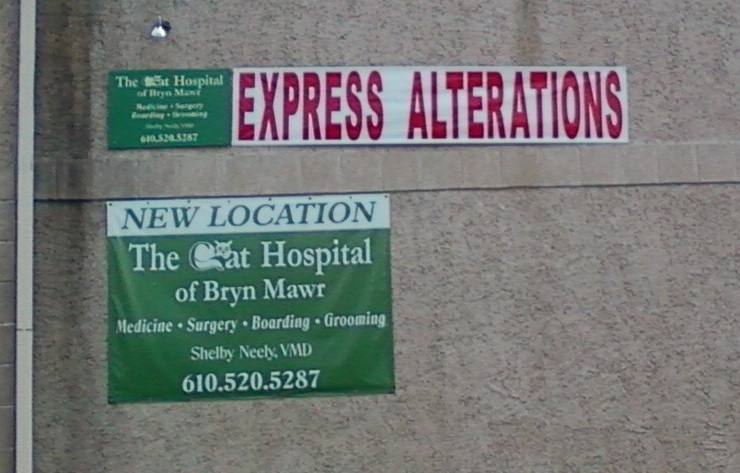 Seriously, what else could possibly mean with that sign, other than they have a tailor on staff with some speedy skills? What do you do if you have hot bowels? Yes, that reads, "Advanced Bowel Mat"
Though the “advanced” portion makes me wonder if there is a “basic bowel mat” for those everyday hot bowels. And if you marveled at how that typo could make it across the pond, I”ll tell you how. Or, rather, show you. Clearly, the 2000 edition of Quality Attestation missed this gem. I hope you enjoy it.